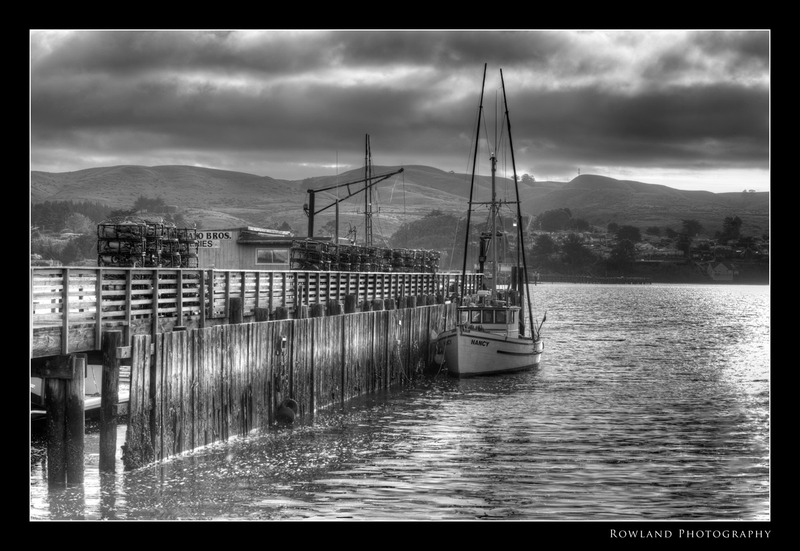 This was a quick 5 frame snap made with an HDR in mind. Started playing with the image (almost like I always do… while I so enjoy shooting, the techie/geek in me really loves messing around in post-production). Why HDR? Its debatable really… I found the glitter on the water to be blowing out a bit in one frame, so I bracketed thinking I would get everything compresses real nice. Why Black and White? No other reason than I liked it better than the color version. Used NIK’s Silver Efex Pro to switch it over to B&W. Its simply awesome. Luckily, we haven’t been hanging out in the local bar whining about the weather. We had an opportunity yesterday to visit a few classic and hot rod car locations which, believe it or not, was helped by the rain. Wet pavement creates reflections and mood… which we had plenty of. We hit two locations Fred Stokes, and Vern Tardel’s locations. These two guys have devoted their lives to restoring classic and hot rod cars. Now I am the furthest thing from being a gearhead, my brother Jon got all the mechanical genes (thankfully I have him in the family!) but being around these awesome machines was simply amazing. Their color, their shape, their forms, made the lens beg for more. 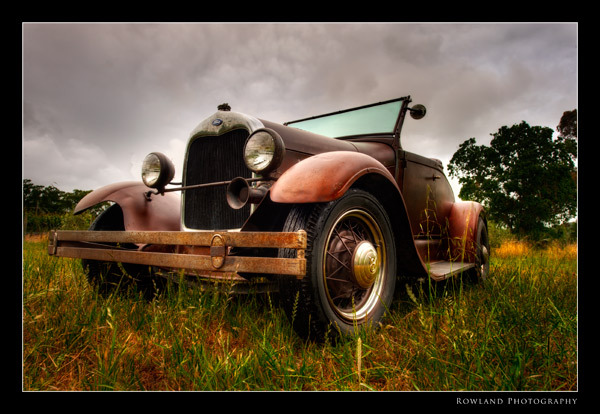 At Vern’s place, he took this old car out in the drizzle, parked it in his vineyard and left it to us to shoot. Got low with a 14-24mm lens, and shot a 7 frame HDR image. Why HDR? Well, the sky was pretty blown out… grey, grey and more grey. I knew the HDR process would bring out the drama in the clouds and add another dimension to this photo. After finishing it using Color Efex Pro 3’s filters (used a bunch) I just fell in love with the image. Has a World War II feel to it… as if a bunch of soldiers had left their vehicle to go look for bad guys… One of my favorite things about a great photograph is inventing a backstory to what’s been captured… I think emotionally, it connects us to a photo. 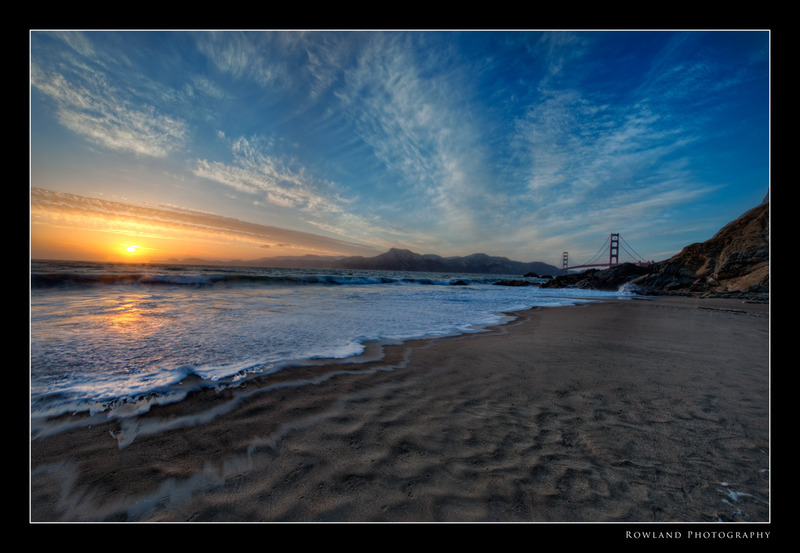 I owe my good friend Dave Alfaro a mighty big thank you for pointing me to this location- Baker Beach. Located not to far from the base of the Golden Gate Bridge on the City side of the Bay. Headed there for sunset… was a bit worried as the sky was bald blue all day, and the sky had no drama. Arriving before the sunset, things began to fall into place, as a bank of wispy clouds and another lower set moved in, which provided some great reflective light in the sky. 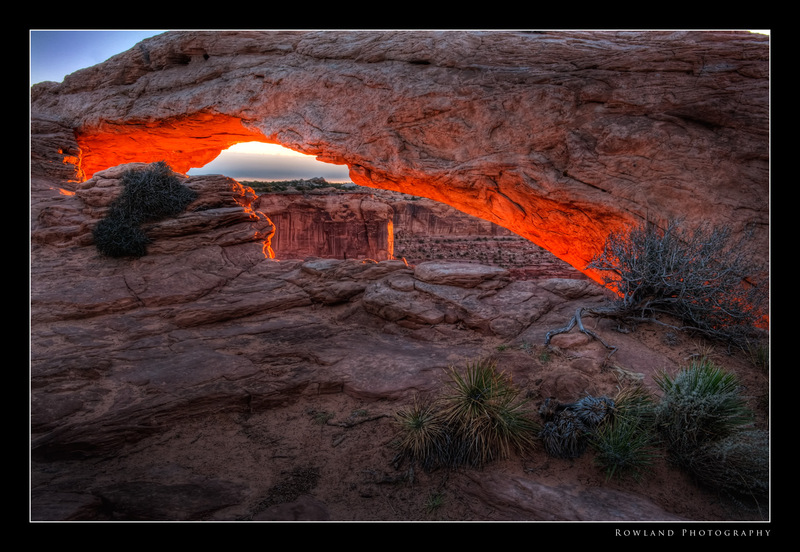 Obviously the range of light dictated this image to be an HDR. I’ve pretty much adopted this technique shooting sunsets and sunsrises where I include the sun itself… otherwise the metering in camera focuses on that (blows it out) and everything else loses its detail.